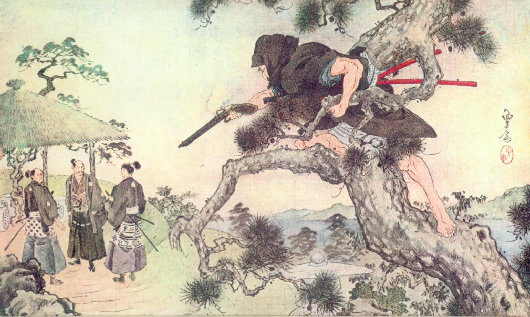 The history of the ninja is shrouded in mystery and there are things about ninja history that will just never be clarified 100 percent. The purpose of studying history to modern day practitioners of ninpo is not to prove scholarly debates, but rather to gain a better understanding of the art of ninpo. So, not every point of our history must be proven as absolute fact, and even the ‘less accurate’ points of the history of the ninja may still be a great deal of value in understanding various aspects of the age of the ninja and the samurai. The history of the samurai is better known because they controlled the writing down of history. Even still, there are many stereotypes and misconceptions about Samurai history. There are many books available about samurai history, so that subject will not be addressed here, except as it relates to the history of the ninja or the Bujinkan. This is a basic introduction to history for beginners and is just a summary using generalizations made necessary by limited space. The roots of ninjutsu stretch back over 2,000 years, but most historians generally agree that ninjutsu started with Ikkai around the year 1000. Ikkai was a warrior from China who fled to Japan and ended up in the remote area of Iga. The knowledge he brought with him of Chinese warrior techniques and strategies was a spark that, combined with the indigenous Japanese warrior knowledge, created a new method that would become known as ninjutsu. After the Gempei war (1180-1185) many warriors fled to Iga to escape persecution. These warriors added the skills of the new samurai clans to the warrior skills practiced in Iga, but the combat methods of the men of Iga needed a different emphasis than normal samurai methods because Iga was a less densely populated mountainous region with no large commercial centers. So the warriors of Iga did not have the numbers of men nor the economic resources to outfit large armies. The warriors in Iga relied upon small scale tactics rather than risking large battles. The ninja became very skillful in spying, night time skirmishes, sabotage, and assassination of military leaders, because these methods didn’t risk large numbers of their own men. The ninja were like a combination of spies and modern special forces who would execute surgical strikes at the heart of potential enemies, cutting off the head of the snake. The ninja of Iga became so famous for their skills that other warlords started to pay for the intelligence gathered by ninja and also to hire them as special forces style mercenaries. The ninja were able to take advantage of the situation and act as double agents working for both sides, and could keep their own potential enemies fighting amongst themselves by spreading false information. These devious tactics helped to keep the ninja’s homeland, Iga, free from invasion until the 1580’s. During that time, there was a powerful warlord named Oda Nobunaga who was trying to conquer enough provinces and warrior clans to become shogun. The ninja of Iga generally thought that Oda was too harsh and cruel to be the ruler of Japan, so they conspired against him. They were a major obstacle to his plans and so he launched an invasion of Iga under the direction of his son with 10,000 warriors. The ninja of Iga and their Koga allies numbered only 5,000, but they attacked the Oda forces at night using their unorthodox tactics to totally route the invaders. 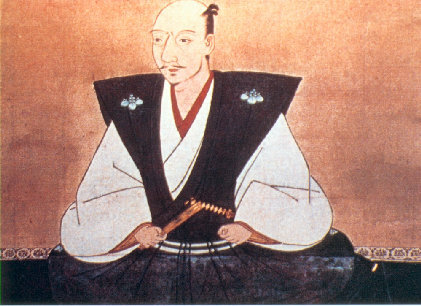 Oda Nobunaga could not become shogun without destroying the ninja, so he later again invaded Iga, leading 40,000 warriors himself. This time the warriors carried many new weapons with them: muskets. 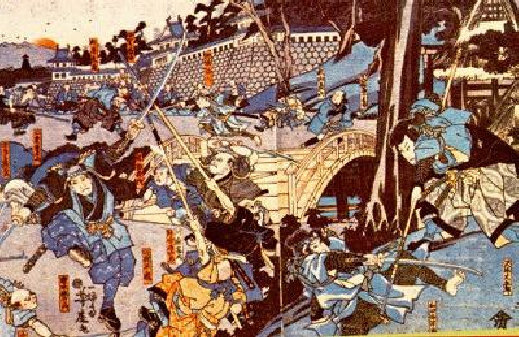 5,000 ninja could not defeat 40,000 warriors with guns in open combat. There were a number of battles, and a great many ninja fought to the death. So fierce were the ninja, that the samurai could not take their main stronghold in a fortified temple atop a small mountain. So the samurai had to burn the entire mountain, shooting any that tried to flee the flames. This was a hollow victory for the samurai, who preferred to win by honorable combat rather than use ninja tactics. The fierce last stand was also a deception by the ninja. These ninja defeated in the flames were merely buying time for the other members of the ninja clans to flee Iga. 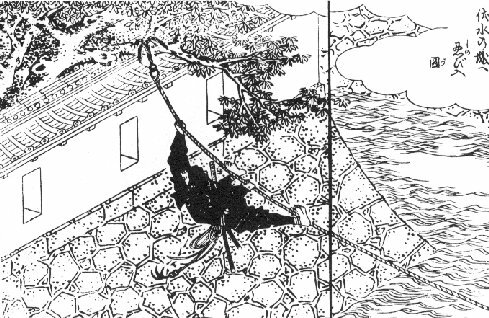 Oda tried to destroy the ninja, but instead the remaining ninja set up operations all across Japan and continued to thwart Oda’s goal of ruling Japan. In fact they almost certainly had a hand in the fatal attack on Oda shortly after the battle of Iga. 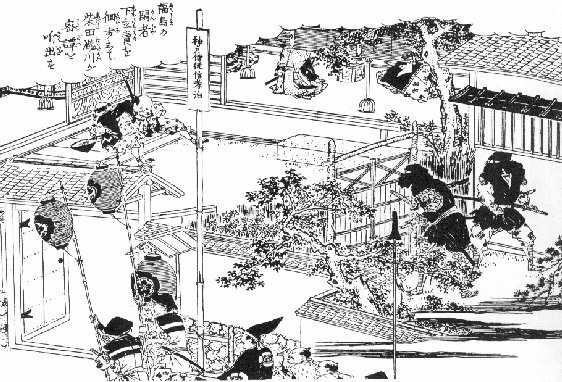 Oda was traveling with only a small number of bodyguards on the way to join a larger force of his army, and they stayed the night at the Honnouji monastery. At dawn he was attacked by one of his own generals, Akechi Mitsuhide and his followers . The warriors surrounded the monastery and burned it to the ground. A fitting end to the cruel warlord who burned the ninja in their temple. Within a few decades Japan was unified under a new shogun, Tokugawa Ieyasu, and a period of peace settled across Japan. Each generation saw less and less need for the skills of the ninja, and many ninja clans gave up the warrior ways to become farmers, merchants, etc. Many samurai clans died out as well. It is hard to maintain warrior arts during prolonged periods of peace. Fortunately for us today, there was one ninja clan that would not give up their old ways. The Toda family practiced and preserved not only their own family style but several others as well. Today, Hatsumi Masaaki has inherited the ninja martial arts of the Toda family and opened them up to the rest of the world by creating the Bujinkan organization. He has created the opportunity for people to make the world better by becoming enlightened and capable “complete human beings” through studying the secret warrior arts of old Japan.